Shiatsu is an ancient Japanese therapy, literally meaning finger pressure. Touch is the essence of Shiatsu, using the fingers, thumbs and palms. 2. Why is Shiatsu useful? Due to stress, injuries and unhealthy lifestyles, our energy flow can sometimes be congested, which can reduce the efficiency of our normal body systems. Shiatsu relieves a variety of symptoms as noted below. 3. What can Shiatsu help with? 4. What happens in a session? We discuss your general health and how Shiatsu can help your conditions. I give advice about diet, exercise and lifestyle to increase your understanding of your health and how to stay healthy. You lie comfortably on a futon, clothed at all times, and then you have your Shiatsu treatment. Please wear loose clothing – a track-suit, t-shirt or leggings and socks. Each session lasts for one hour. Please do not eat heavily for two hours prior to your treatment and avoid alcohol on the day of your treatment. 7. Does it work for the mind, body and spirit? Yes. Shiatsu therapy stimulates joints, muscles and body fluids, which encourages improved circulation, flexibility and posture. Shiatsu also works by stimulating the mind and harmonising the body’s energy flow in order to maintain good health and overall vitality. Shiatsu is deeply relaxing for the spirit, yet also invigorating. It affects all levels of our being, restoring the balance of energy and creating harmony within our body, mind and spirit. 8. Can I prevent health problems before they arise? Yes. Shiatsu is also a preventative therapy. You do not have to have any specific health problems to benefit from having a Shiatsu treatment. Please speak to me, as there are several packages available. 10. I am retired, can I afford you? Yes. I charge retired clients a reduced rate. 11. What happens if I cancel? I am based in Harrow. Yes, I graduated from the Shiatsu College, London in 1996 and was assessed to become a member of the Shiatsu Society Register in 1997. I attained Angelic Reiki Master level in 2008. 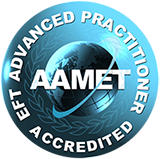 I graduated as an EFT and Matrix Reimprinting Practitioner level 2 in 2012. 14. Are you a member of a professional society?